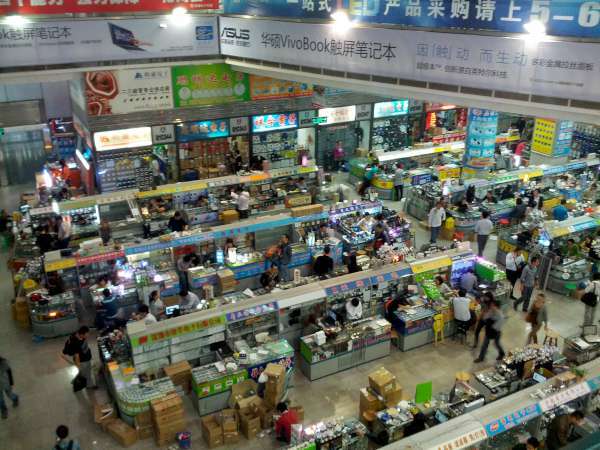 Today we also made our inaugural trip to the big electronics parts markets in Shenzhen. We met up with Mitch from Hackvana who showed us his favorite stands. We’ll shoot an interview with Mitch in a few days. We only had a few hours today, but we’ll be back here all week to source parts for our projects. Lost internet in hotel so please blame any problems in his post on sausage fingers and tiny screens. 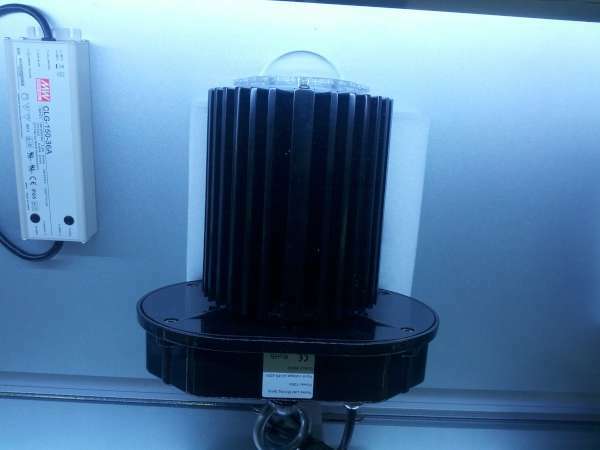 Giant LED mine light with HUGE heatsink. 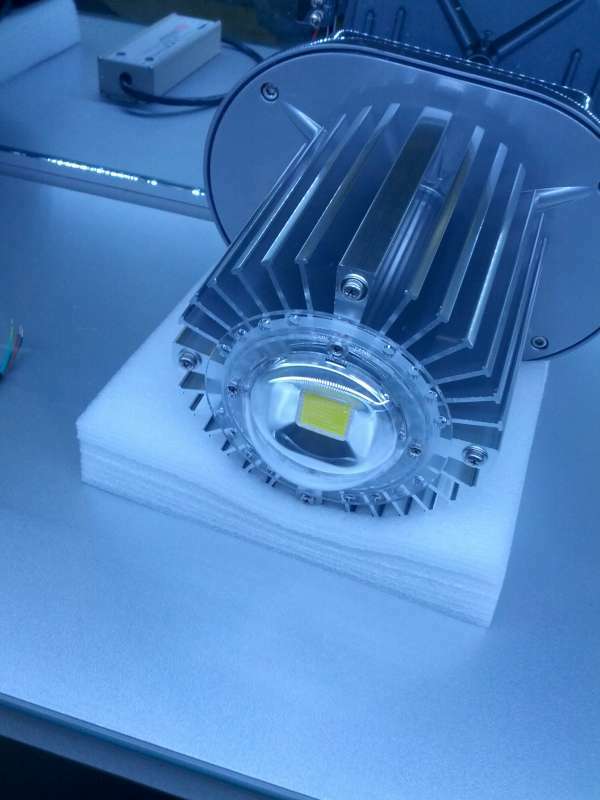 Another mine lighting LED with huge heatsink. 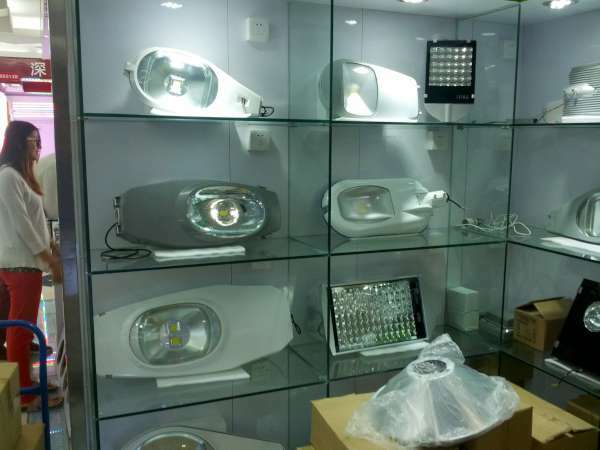 A variety of LED spotlights. 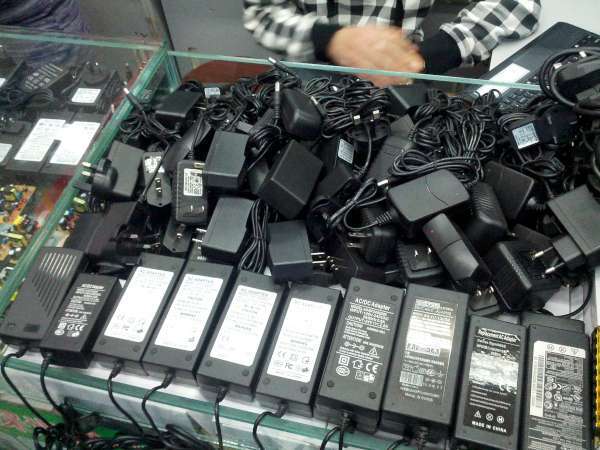 All kinds of power supplies for the international market. US, EU, Australia. This entry was posted on Monday, November 19th, 2012 at 9:00 pm	and is filed under Global Geek. You can follow any responses to this entry through the RSS 2.0 feed. You can skip to the end and leave a response. Pinging is currently not allowed. Power supplies hmmm did you find rejected chumby supplies, by chance? 1. Power supplies are all FAKE and in some cases a serious fire hazard. (open some up), but yep they are cheap, about 20-40 RMB for the ‘switch mode’ brick type. 2. Be aware that ALL your internet traffic is recorded in the hotels, so watch your passwords, in some cases the internet monitor units target foreign computers with viri or zero day exploits. The joys of being in China. Are those LED spotlights? They look like overhead street light fixtures to me.